information gap in Tejano Music. The book measures up in terms of providing authoritative information about a subject that's near and dear to many Tejanos, but that has not been adequately documented. It's a fascinating look at Tejano Music by a contemporary writer who is connected to the musicians themselves, their handlers, promoters and to the members of the media who cover the subject on a daily basis. As a writer for the San Antonio Express News, Ramiro is uniquely placed to gather and then spread current information on the subject, and he did exactly that in his book. But he also provides a historical perspective. The book is a real source for today's generation and for those who follow. Thanks Ramiro. 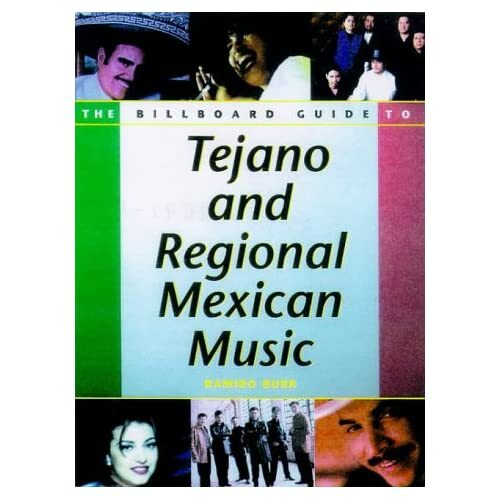 It's great to see that "Tejano And Regional Mexican Music" is available on Amazon.com and that it can be easily accessed by the thousands of Tejanos all over the world who are hungry for this type of information." "Comprehensive, in-depth analysis...insightful essays...highly recommended." "Indispensable reference tool...comprehensive coverage,...valuable addition to any reference collection." "Invaluable resource,...accurate, comprehensive, and timely resource." "A timely and unique book on one of the most important regional musics of Latin America. Concise and accurate, written in an elegant, no-frills prose easily accessible." "Wonderful resource to lay persons, specialists, music lovers in general." "Extremely informative and a must for all musicians as well." "Thoroughly documents our colorful music history. Detailed authenticity...amazing!" " Important because it shows our major contributions to American music." -- Flaco Jimenez, 5-time Grammy-winning accordionist/Los Super Seven. "Long overdue! Enlightens readers of the great musical pioneers." "The first important book of Tejano and Mexican music history. It's a good read and very well documented. Congratulations to Ramiro Burr for excellent work and research." -- Gilberto Puente, requinto player of /Los Tres Reyes. "An in-depth, accurate and sometimes controversial journey into what is Tejano music." "A valuable and important guide...to those discovering and rediscovering Latin music." "The most comprehensive book of this genre ever written. Wonderful and precise." "Finally a guide to music...emotional, powerful, poetic." "Magnificent book...skillfully combines facts and myths. Provocative, insightful."